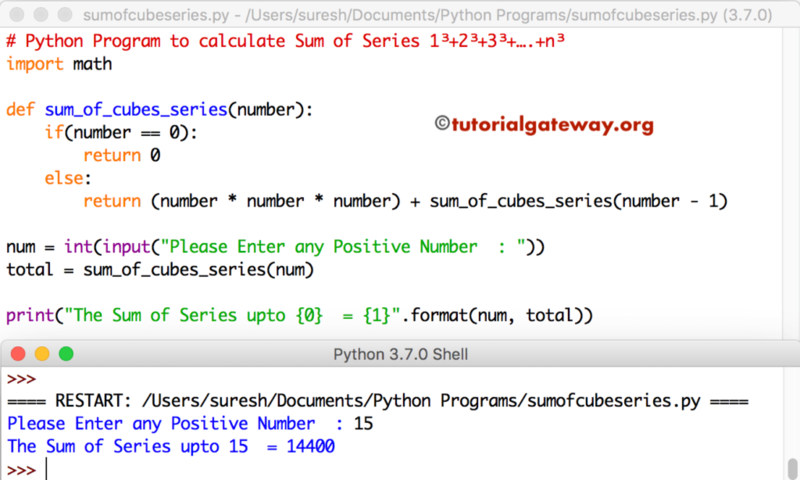 In this article, we will show you, How to write a Python Program to calculate Sum of Series 1³+2³+3³+….+n³ using For Loop and Functions with example. This Python program allows user is asked to enter any positive integer. Next, this program will find sum of series 1³+2³+3³+….+n³ using the above formula.